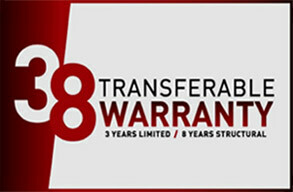 The Sooner Select line of trailers represents the best in premium low profile stock trailers. 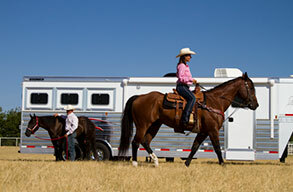 Sooner Select trailers are suited for the serious show family and are outfitted to haul all species of show stock. With durable aluminum construction and select features like aluminum wheels, convertible pen system and polished aluminum exterior, owning a Sooner Select is a solid choice. 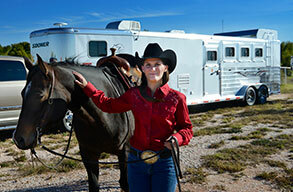 Choose from bumper pull models, 7' wide gooseneck models and 8' wide gooseneck models. Sooner Select Low Profile Bumper Pull Stock Trailers are available in 16' and 20' lengths with either three air gaps with Plexiglas or drop down windows with a lower hinged cover panel. Sooner Select 7' wide Low Profile Gooseneck Stock Trailers are available in 20' and 24' lengths with either three air gaps with Plexiglas or drop down windows with a lower hinged cover panel. Sooner Select 8’ wide Low Profile Gooseneck Stock Trailers are 26' long with either three air gaps with Plexiglas or drop down windows with a lower hinged cover panel. .